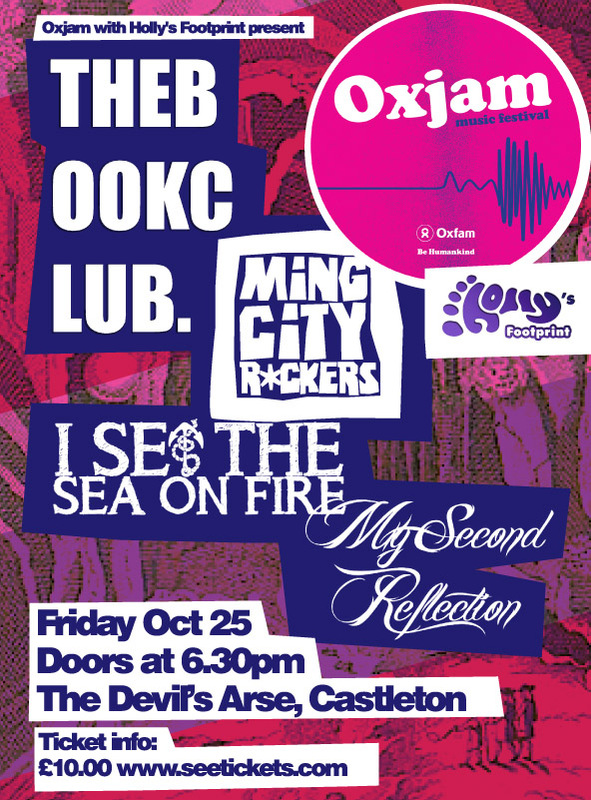 Live music from the Cavern… | Holly's Footprint..
We were contacted a couple of weeks ago by a friend of Holly’s, Ethan Lambert, who is in the band My Second Reflection, about an Oxjam gig they are playing in Castleton with a few other bands. Oxjam Music Festival takes place every October and is made up of hundreds of events happening all around the UK, all organised by volunteers, raising money for Oxfam. 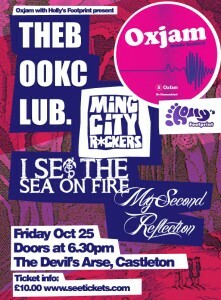 The organisers of the Castleton gig and Oxjam have generously arranged for it to be partly in aid of Holly’s Footprint which is fantastic. The event will take place in The Devil’s Arse Cavern in Castleton on Friday October 25th. Tickets will be on sale from tomorrow (Monday 30th September) via seetickets.com and are priced at £10 each. As well as My Second Reflection the other bands appearing will be The Book Club, Ming City Rockers and I Set The Sea On Fire.